You are here: Home / Here worlds are brought together! 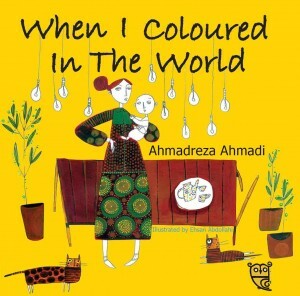 Ahmadreza Ahmadi, illus. Nahid Kazemi, trans. Azita Rassi. Amadreza Ahmadi, illus. Ehsan Abdollahi, trans. Azita Rassi. Tiny Owl are new stars on the publishing blook. 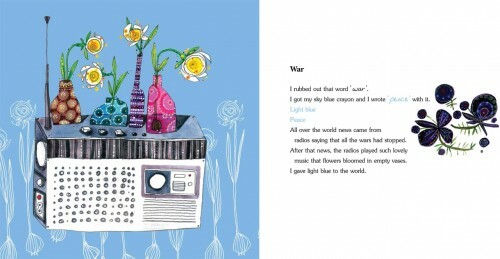 Their mission is to introduce Iranian authors and illustrators to Britain. Visitors to the website www.tinyowl.co.uk will quickly realise what treasures are in store for those lucky children who are introduced to their books. Here are authors and illustrators of stature – including Hans Christian Andersen winner Farshid Mesghali, the texts translated by Azita Rassi so that we can read them. The stories range from the thoughtful to the playful, the traditional and the classic, featuring tales from the great Persian poet Rumi, to original stories that reflect these traditions. 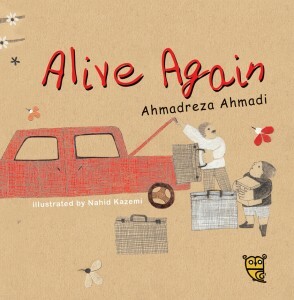 Alive Again and When I Coloured the World are both by Ahmadreza Ahmadi who is a prominent Iranian poet. In Alive Again the text does not try to be a conventional poem as we might see it. but then spring comes again. However, the moral is left unspoken; it is up to the reader to take that step. As a poet, Ahmadi challenges the reader, leaving much that is unspoken, creating an opportunity for the imagination. This characteristic is also at the heart of When I Coloured the World, where Ahmadi again highlights the importance of the word, linking words to colours, bringing them to life. Also bringing these words to life are the illustrations. Nahid Kazemi creates illustrations for Alive Again using textured collages and muted hessian colours so that the splashes of vibrant reds, greens and orange jump off the page, providing a subtle visual counterpoint to the text. In When I Coloured the World, Ehsan Abdollahi looks to the heritage of Iranian art with his contemporary illustrations that are presented in a traditional way as single page spreads where the background colour reflects the colour referred to in the accompanying text. An illustration from When I Coloured in the World. This page is about Peace against war. These two books are not just joyful exploration of language, but would also provide the basis for imaginative work and discussion. Here worlds are brought together, annihilating boundaries. 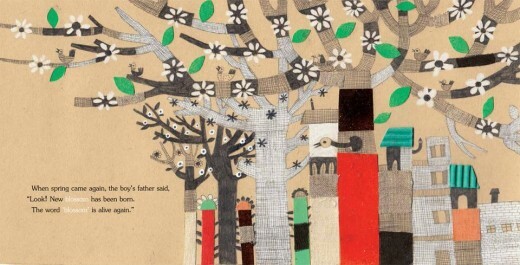 iranian-illustrated-childrens-books for more illustrations from Tiny Owl books.